Meet our experts on selected date in various countries. Discover what the right technology can do for your business. 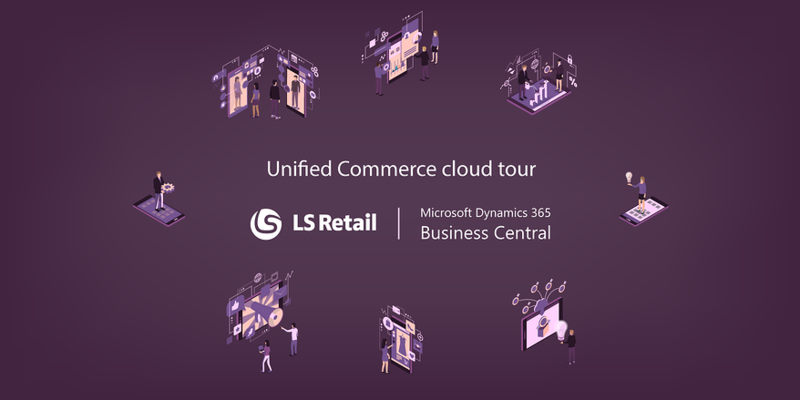 Join Microsoft and LS Retail for a short seminar about the future of Retail and Unified Commerce. This series of events will take place in various strategic locations worldwide in January and February 2019 and it will focus on LS Retail and Microsoft cloud software solutions. In particular, the LS Central (previously known as LS Nav for Microsoft Dynamics 365 Business Central) product strategy and development will be presented and discussed. Participants will also be engaged in an interactive session in order to get all their questions answered. Participation is free, but please register now as seats are limited. The events are open to retailers, restaurateurs as well as LS Retail partners and tech companies interested in becoming partners. The Unified Commerce Cloud Tour took place in various locations across the globe, including Copenhagen, London, Atlanta, Munich, Stockholm, Helsinki, Dubai, Kuala Lumpur in the months of January and February 2019. It is now finished, but do not hesitate to contact us if you have any questions or would like to talk to our expert.